Criteo is headed to Australia’s Gold Coast for iMedia Online Retail Summit, an exclusive event for the sharpest minds in the industry to connect and discuss shared challenges, build relationships and meet potential partners. The program will be comprised of international and local keynotes, as well as interactive roundtables and breakout sessions. Criteo is proud to sponsor the Mixology hospitality event on Day 2. 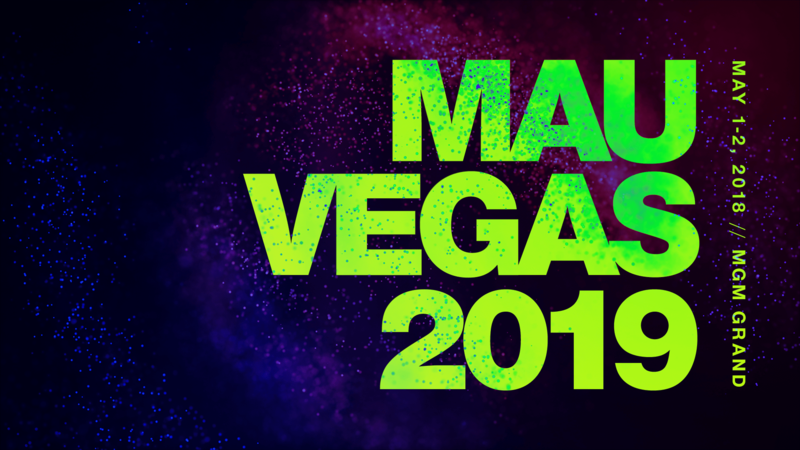 Criteo is headed to Las Vegas for MAU (Mobile Apps Unlocked) for two full days of insights and discussions on app growth, engagement and retention. Attracting over 1,700 attendees, MAU is one of the best app focused events of the year and a must attend for those in the industry. Take a break from the exhibit hall to visit Criteo at our cabana for personalized mobile strategy sessions. We’re headed to the Online Marketing Rockstars Festival in Hamburg, Germany for two full days of insights and discussions about the latest in digital marketing. With more than 40,000 visitors, 300 speakers, and 120 master classes, this event is a must-see for everyone in the digital industry. Join us for an evening of mixing, mingling and networking with sales professionals in Barcelona and business leaders at Criteo. We’re looking for talented professionals to join our Sales teams in Barcelona as we continue to expand Criteo’s business around the world and specifically in DACH, CEE, and Poland. The Not Another Big Data Conference, brought to you by Criteo Labs, is coming to Ann Arbor! There are lots of conferences these days and almost all of them promise new and magical insights that will surely revolutionize the way you work. This is not one of them. NABD Conf is first and foremost about engineers solving problems and sharing those resolutions with others – and we encourage our speakers to share the bruises they’ve accumulated along the way, because even the best of us have seen some pretty spectacular failures. So, come join us for a day of sharing, learning, fun and yes, perhaps some group therapy! Join Criteo in Stockholm for Retail Experience Live, a completely new mix of trade show, networking, seminars, workshops, demos, and forums. Retail Experience Live brings merchants and suppliers throughout the value chain together with experts and influencers in the fast-growing retail world. Come say hi to the Criteo team at booth #E08. Join Criteo in Milan for Netcomm Forum, Italy’s leading event for e-commerce, digital retail, and digital transformation in enterprise. We hope to see you at our stand and talks! We’re headed to Austin this summer for Digiday Programmatic Marketing Summit. Join us at this three-day event where hundreds of decision makers from top agencies and brands will converge to discuss the biggest issues facing the industry today. Criteo is a VIP sponsor of this event. Join Criteo in Chicago at IRCE, the one-stop-shop for all your e-commerce needs. This conference and trade show offers you everything your business needs to stay ahead of your competition, in one simple location. With over 130 sessions and keynotes from speakers like Andy Dunn (Walmart) and Susan Tynan (Framebridge), you will be sure to leave with helpful and actionable insights. Come visit Criteo at our booth in the exhibit hall.